This Yoga Workshop will focus on the strength and mobility required to play with inverted Asana - positions that find us upside down. With the accompaniment of relevant delicious doTERRA Essential Oils including strengthening and centreing Frankincense and refreshing Peppermint. Playing with upside-down postures in a Yoga practice can be invigorating, empowering and challenging. In this workshop we will look at alignment and strength required for various inversions and you will be invited to explore various progressions of inverted Asana. We will look at what factors inhibit and what factors assist an inversion practice including breathing techniques - pranayama, focus - drishti, and attitude. This workshop is suitable for all levels but some previous experience of Yoga practice and inversions is recommended. 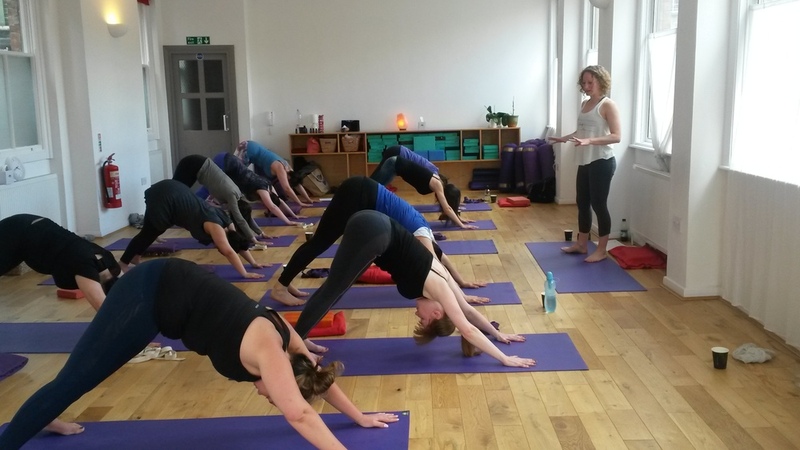 Click the link below to find out where you can catch Jeni's regular weekly classes or how to arrange private sessions. The Oils used in this workshop will motivate a sense of strength, courage and clarity. Using only the purest and beneficial oils - doTERRA Pure Natural Therapeutic Grade Essential Oils including Frankincense for it's grounding and healing properties and also as it is beneficial for clarity of the mind; Peppermint for to enliven and refresh qualities; and Clary Sage to for its purifying and soothing qualities. To ensure that you get the most out of these exquisite oils, they will be available for inhaling, applying to the skin and drinking in your water during the class. They will also be available to purchase after the class should you want to create your own AROMA YOGA experiences at home. To find out more about the Oils please click on the link below or contact Jeni directly.